CryOmega-Vet - Cryosurgery - Dan Scott and Associates, Inc. 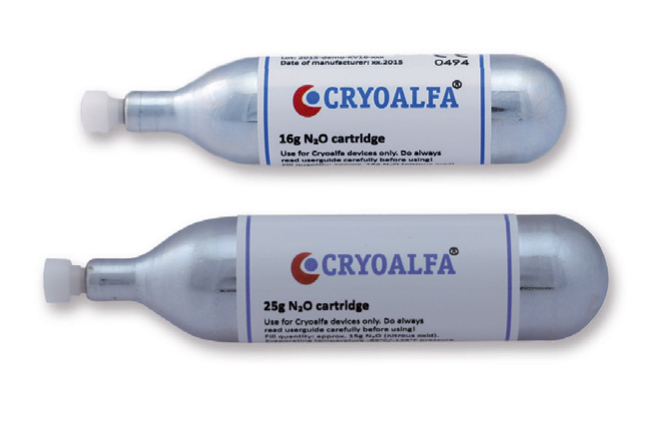 The Cryoalfa is a highly portable, simple and effective handheld cryotherapy device for accurate treatment of skin lesions, making it ideal for general practice, and minor surgery applications. To apply the cryogenic liquid gas the dispenser tip is touched against the skin surface and activated by the finger trigger. The liquid gas travels at a mean speed of 40 m/s in a phase stable state (gaseous state) enabling cells to be destroyed accurately and safely. Why use CryOmega - VET?